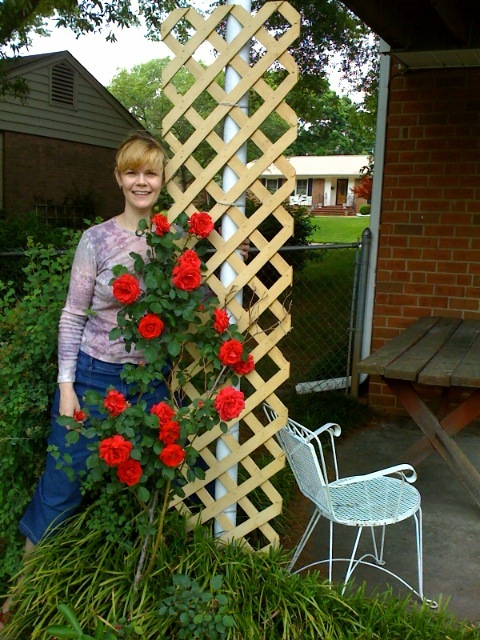 This rose bush is very special to me because it was grown from a rose clipping. When I was a little girl my mother and I would visit a very dear family friend, Maurine. Maurine and mother used to go shopping, bargain hunting or go out to lunch once or twice a week. I must have spent one afternoon a week at her house when I was little. Maurine has always had an incredible green thumb. So, her rose bushes were incredibly beautiful. One summer afternoon I was in her back yard and her roses were blooming. They were just so pretty I just had to have some of the flowers to take home. So, Maurine clipped several roses for me. About a week or two later one of the roses began to grow roots. It kept growing and Mother planted in her patio garden and the rest is rose history. Every summer I’m amazed at how big the bush has gotten and how many blooms are on it. I was doing the math and the bush is over 30 years old. Amazing! 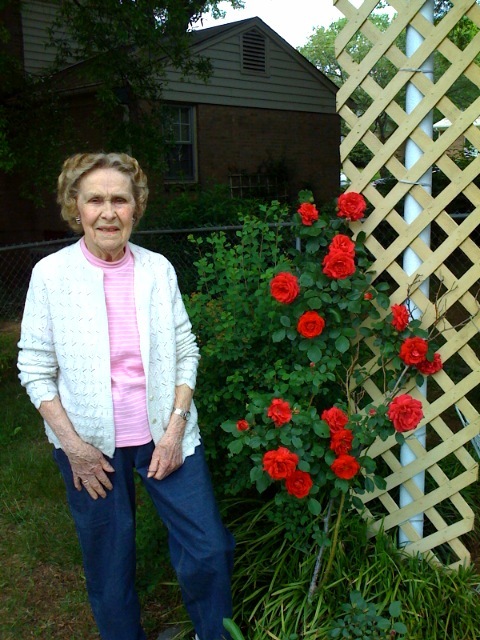 Here’s mother with the rose bush 30 years after she planted it.